I named my first display “Cultural Journeys”. It was meant to showcase the many books that I have read that bring worlds together through the bond of human emotion. 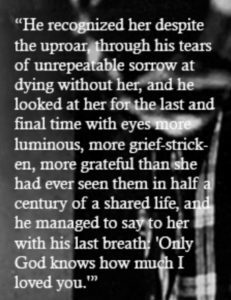 One of the very first books I remember loving was Love in the Time of Cholera by Gabriel Garcia Marquez. Of course, I do not remember much of it now, but I do remember being entranced with its wit and prose and the storyline of love that waits a lifetime. Junot Diaz writes with a similar style in The Brief and Wondrous Life of Oscar Wao. This book too was a page-turner for me. I searched for books similar to both with the hope that others would enjoy their message and their beauty. I had to ask my husband how to make a paper airplanes for the decorative piece of the display. I did, in the end, remember how to do it myself – after I forgot what he taught me. It is actually simple. 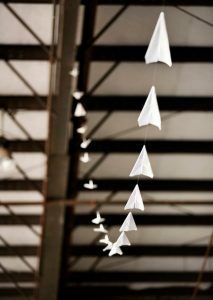 The string of paper airplanes was supposed to look like the one I saw on Pinterest, but possibly doesn’t. The most challenging aspect of creating the string was getting the planes to stay right-side-up. Thankfully, I mastered that with tape. Creating this display reminded me of some of my favorite books and of a skill I forgot I had. In conclusion, read a book and remember you are talented!